how can i get the soviet spitfire? Still waiting for the Ki-21 Hei and Ki-10 II C to be made available with warbonds. It's time. 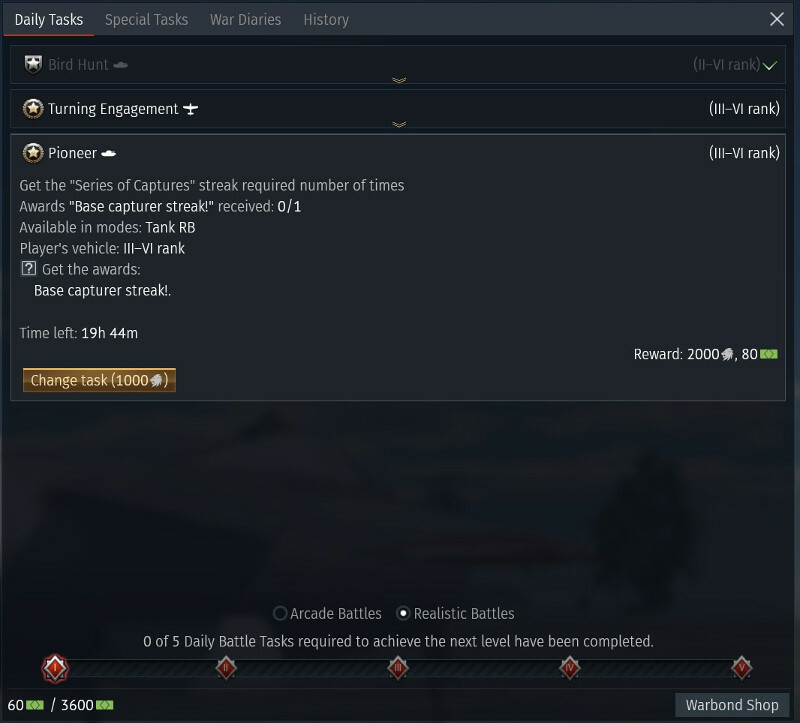 I was so happy I finally had enough warbonds to buy the TB3, then I was shocked to find that...YOU ALSO NEED TO COMPLETE SPECIAL TASKS, don't forget to include the special tasks as well..that you amazingly need to buy with 30 warbonds. Its really not difficult, but it does take time. I got the tb3 from the last warbond run. I never did that much before for war bonds. It took 20 days, 45-90 minutes per day. 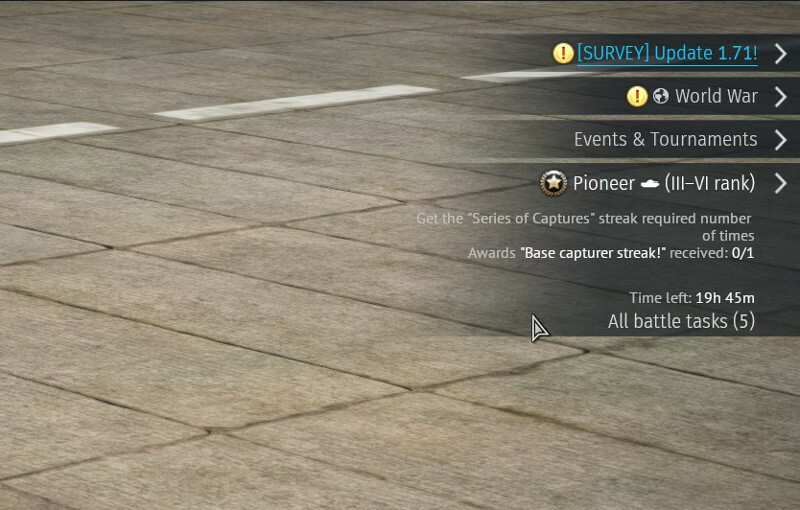 The trick is to buy the change of special task and level 2 war bond to one of the easier ones. I got the TB-3. If you can get it to the enemy base it's a Death Star level of destruction. Hey Gaijin, love the redesign of the War Thunder wiki! It's a massive improvement, especially in regards to navigation of the pages and overview of the vehicles (especially the hidden ones)! I don't know if anybody else has pointed this out yet. 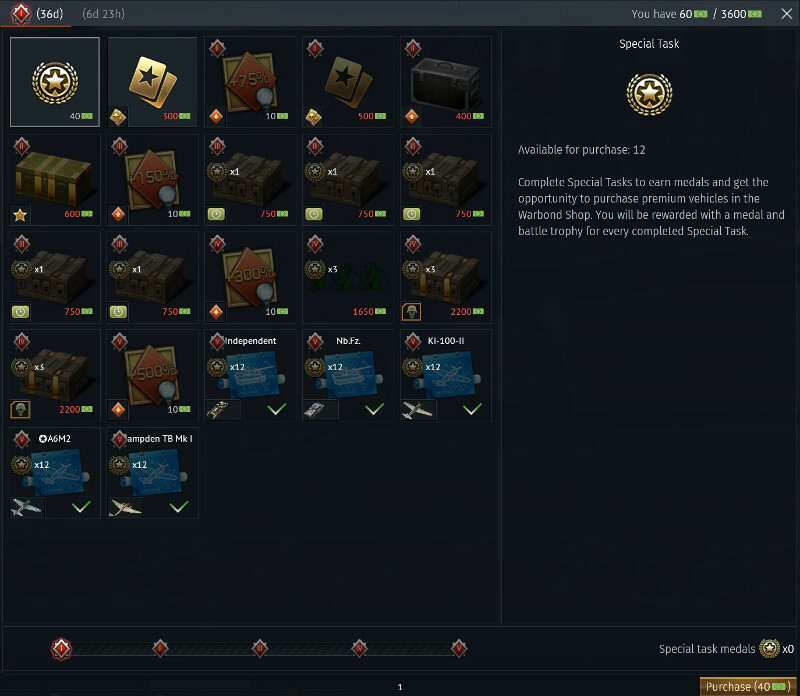 But you put, "We present to you an assortment of Warbond shop items for January."